The club was formed at a meeting held at the Royal Hotel, in the town, on Tuesday 21st September 1875. 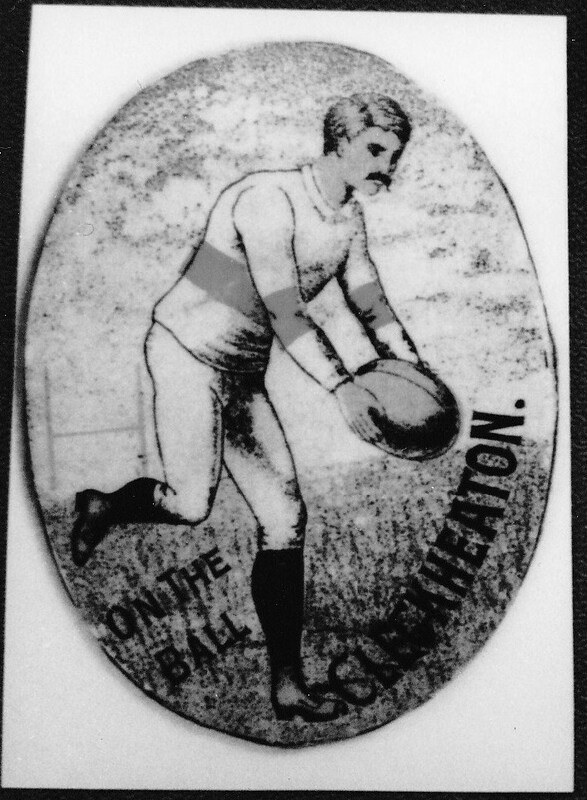 It was reported in the Cleckheaton Advertiser on 23rd December 1875 that there was a 'satisfactory attendance of young men, that a resolution be adopted that the club be called Cleckheaton Football Club and that there was to be an entrance fee of one shilling per member.' A committee was formed at the meeting in order to secure a field, and Mr George Siddall was appointed secretary and treasurer. It was also agreed that rugby rules would be followed by the club. Prior to the meeting at the Royal Hotel, a notice had appeared in the Cleckheaton notes in the Cleckheaton Advertiser on 10th December 1875. The notice posed the following question that was being asked by young men in the district: 'Cannot a football club be formed in Cleckheaton and other places?' The newspaper article used a quote from Shakespeare's A Comedy of Errors to support the argument of the young men. Apparently a speech by Dronios, one of the characters in the play, in which he complains to his mistress about his ill treatment at the hands of his master, mentions a football. Quite what relevance a quote from Shakespeare, who had obviously never heard of rugby, had on the debate regarding the formation of a Cleckheaton club is not clear. However, it is clear that the Cleckheaton Advertiser thought the quote was relevant and, as a new club was formed, they seemed to have been proved right. Cleckheaton played four games in their first season 1875/76, two against Heckmondwike and two against Bierley. Their first ground was Waterslacks, a field off Balne Lane, that after a few games proved unsuitable as it had ruts and holes and in wet weather miniature lakes formed on the pitch. The club eventually developed its home ground at Whitcliffe Mount, a site now occupied by school buildings. Part two of the story of Cleckheaton Football Club will appear next week.